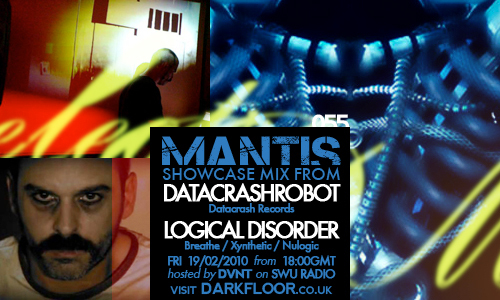 Two sessions this week for Mantis Radio – Datacrashrobot AND Logical Disorder provide an electro and IDM showcase showdown. Ableton Live, M-Audio Axiom25, Evolution X-Session, Propellerheads Reason, Native Instruments Reaktor + Absynth, digital sound processing, field recordings and data crashes. following a journey into the cold, mechanical, information overloaded mind of robots. 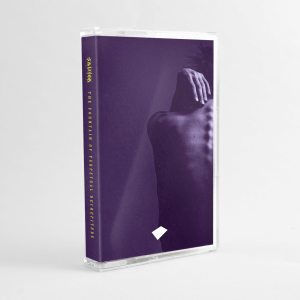 The beat is drowned in dark ambiance or broken and twisted, overloaded with effects and glitches creating a state of malfunction and collapse. pop phrases and sometimes epic funeral melodies.